Parking is available after 6.30pm on a single yellow line and there is NCP 2 minutes away. Nearest tubes are Green Park and Bond Street there are several bus routes located nearby. 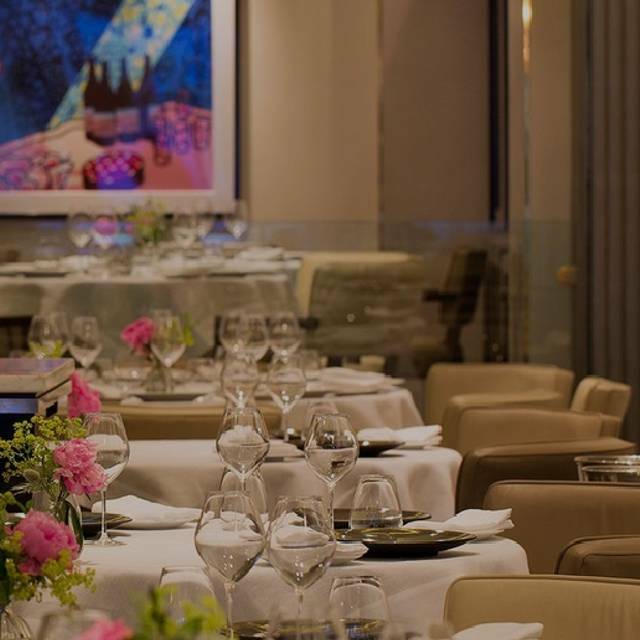 Set in the heart of Mayfair, one Michelin starred Murano restaurant is the home of renowned chef Angela Hartnett. 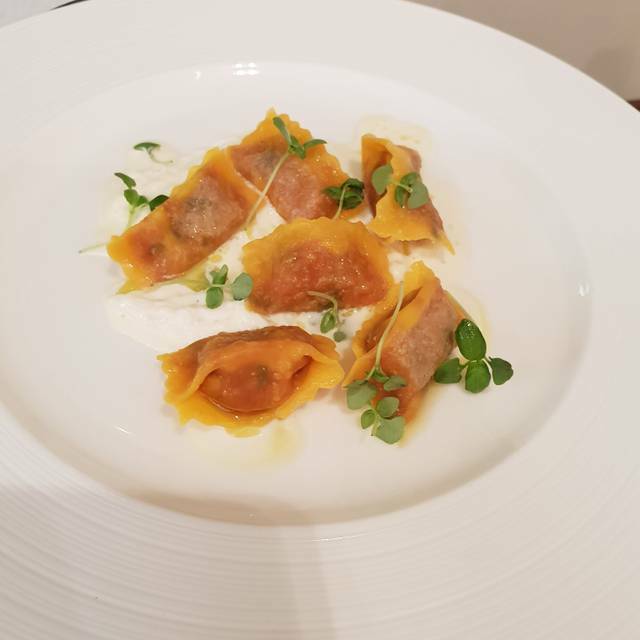 Cuisine is modern European with a strong Italian influence reflecting Angela’s heritage with a totally flexible menu where guests may choose anything from 1 course to their own tasting menu. Also on offer is the reasonably priced lunch menu. The relaxed environment makes Murano an ideal choice for all occasions. At Murano by Angela Hartnett our private room can accommodate up to 12 guests around our elegant oval table with a direct view into the working kitchen. The room is adjacent to the main restaurant with glass doors that can remain open to allow for a more informal atmosphere. From start to finish it was a great experience. The service understated, the food high quality and the ambience just right. We sat down at 7.15pm and it was moderately busy but 8pm onwards there was a good buzz about the place. 3 hours passed very quickly and we both came away saying how much we had enjoyed the restaurant. I will be back. Great restaurant. Food delicious & service very good. Would recommend. Murano is always reliable for a special occasion. Excellent food. Seasonable ingredients beautifully prepared. Innovative but not pretentious. Warm friendly and impeccable service. And continues to deliver over time which not many places can maintain. Fabulous lunch with my family. Food was amazing. 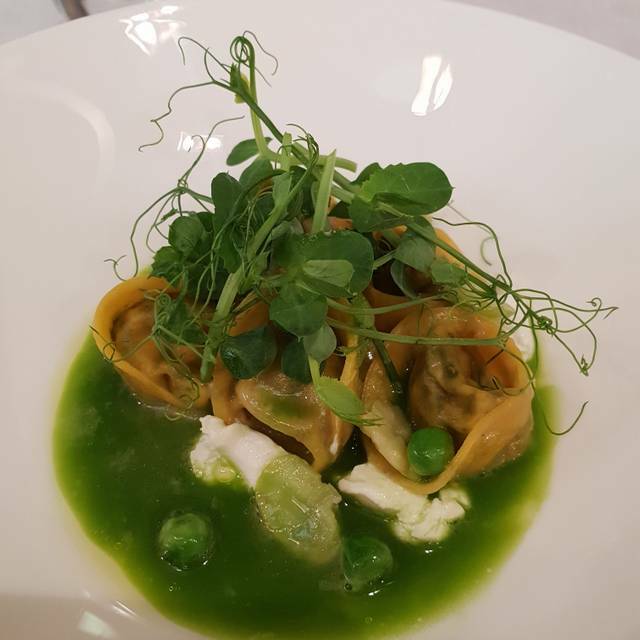 I have eaten at Murano a number of times and I have never been disappointed... great atmosphere, utterly wonderful food, excellent service. 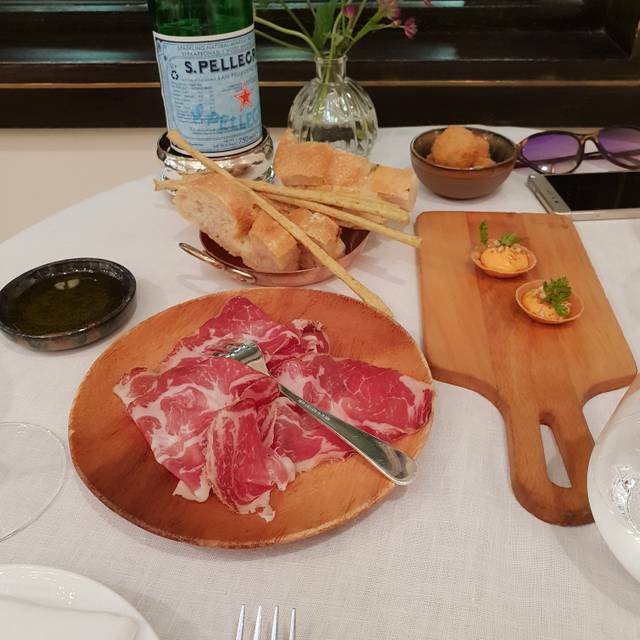 I have been visiting Murano for 5 years and keep returning due the excellence of the food and staff. If you haven’t been a MUST in London. I travel from Wales for lunch it’s that good!!! Portion sizes were a little inconsistent between me and my guest - he had 5 small pieces of stuffed pasta, I had a much larger amount or risotto. The plating of the risotto was also a little odd, looked like it had been put on a side plate? Aside from those minor points, the rest was divine. On service- our initial experience was with a front of house lady who took the orders in a really approachable, bubbly and friendly manner. The waiters who came later were much less interested in us and more transactional in their behaviour- not poor, but again inconsistent compared to such a warm greeting. It was really good, the food , the employees, and everything was so great. I will go murano so soon. Super experience with attentive staff and amazing traditional Italian food done really well as you might expect. AH wine fantastic. We went on a Saturday night to catch up with friends and the atmosphere was perfect, with tables evenly spaced to provide privacy and comfort. The service was excellent and range of champagne and wine on point! The starters were fantastic with the beef carpaccio a stand out dish. The fish and meat courses disappointed us all however, lacking the textures and flavour you would expect at this level. Excellent a la carte lunch with wine flight to compliment the food. Very helpful and knowledgeable waiting staff especially the spanish sommeliere. Had a very enjoyable celebration lunch here for my partners 60thbirthday. The service was attentive and a special dessert was produced for us to share at the end of the meal. We had the set lunch and the food was of a high standard if not exceptional. The wine list was wonderful but expect it to crank up your bill. The desserts were a little lacklustre compared to the other courses. The ambience is quietly sophisticated and the staff are all very good at their job. 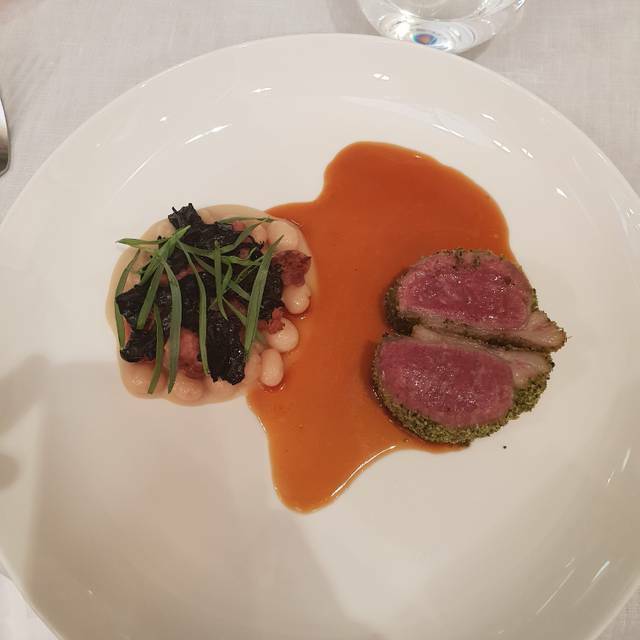 It was a relief to find a fine dining experience that did not innovate so much as use top quality ingredients and cook them exceptionally well. A solid choice. What a fab restaurant. From the second you walk through the doors you know its special. The staff are so welcoming and the feel of the place is special. One thing I picked up on straight away was the space you have. Food menu is long enough that you have plenty to pick from but not too much that it's overwhelming. Finally the wine list is mainly Italian which sorted me down to the ground... A must visit. The venue itself was lovely and staff very attentive, however, the menu was quite limited choice wise and the portion sizes were rationed which for the price was a bit disappointing. My desert was not good so had to return it. Overall the experience was nice but menu and food not quite up to scratch considering how it’s pitched. Also the house wine was awful so had to choose another expensive reknowned wine from menu. Drinks very expensive and small measures. Great restaurant, excellent service, very nice ambience. I keep coming back whenever I’m in London. A superb meal with excellent service. First visit and will definitely go again. Wonderful evening and meal. Delightful staff. We will come again ! We have been to the restaurant many times since it first opened for both personal and business occasions. Always excellent. A real favorite. This was my first visit to Murano. I was a solo diner and had the five course tasting menu. The food was exquisite in taste. Beautiful flavours. The wine pairing was so so clever and matched each course so well, I can honestly say it was the best wine pairing I have ever had. 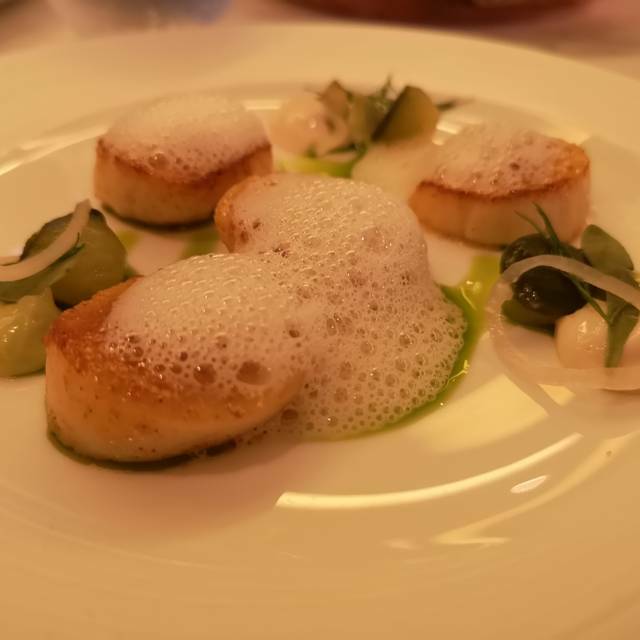 Consistently outstanding food and exceptional service. Been going since it opened. Good quality food, but very French (as opposed to Italian) in terms of ingredients and cooking styles! The restaurant was exceptional with regards to ambience and comfort. The service was just as it should be. However I am not a fan of the style of the menu which seems to be a choice of "taster" dishes 2,3 or 4 and then a desert if required. Although the quality of the food was excellent I thought the price was too high. Food was great and the service friendly, professional and helpful which lead to great evening with friends. Highly recommend. Went for lunch. Everything was perfect, food was amazing, wine was great and service was attentive without being in your face. We booked a table for two to celebrate my wife's birthday as she and I are huge Angela Hartnett fans. It was fabulous, the service, the food and the wine which was matched to what we ordered made for a very enjoyable and tasty evening. The beef with bone marrow was melt in the mouth and the best ever, will be looking forward to going back to London and booking a table at Murano when we do. 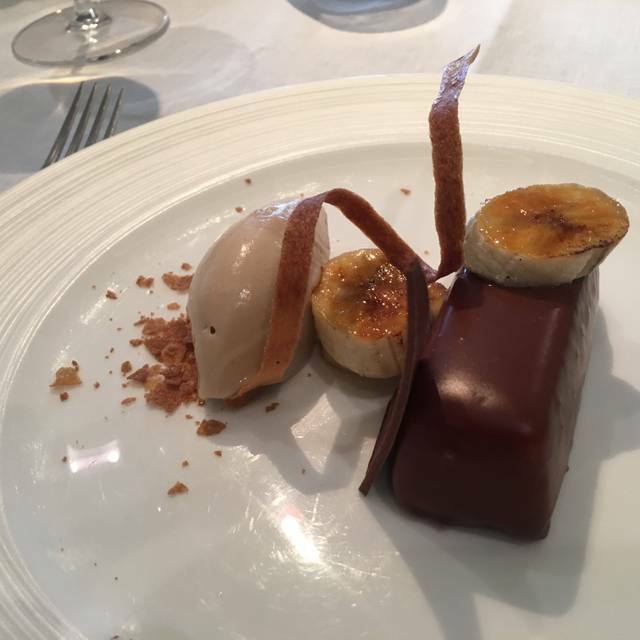 One of the best meals I have had in London and I have eaten in many great restaurants over the last 18 years! The food was fabulous and the service v professional but friendly. Not cheap but definitely worth it. Amazing food. Fantastic service. Highly recommended. We have been to Murano often for special lunches. Our starter on this occasion was disappointing because it was very insubstantial consisting of a few small leaves of chicory with a very light dusting of grated cheese. As always, the breads and salumi, the mains and the puddings were outstanding. The veal bolognese pappardelle were superb. This was just one of the best restaurant experiences I have had. On every measure. Congratulations to Angela Hartnett, a superb evening, thank you to all the team. The restaurant is very well laid out, the staff are perfectly attentive and the food is very nice. It just lacked a bit of flavour in my opinion. 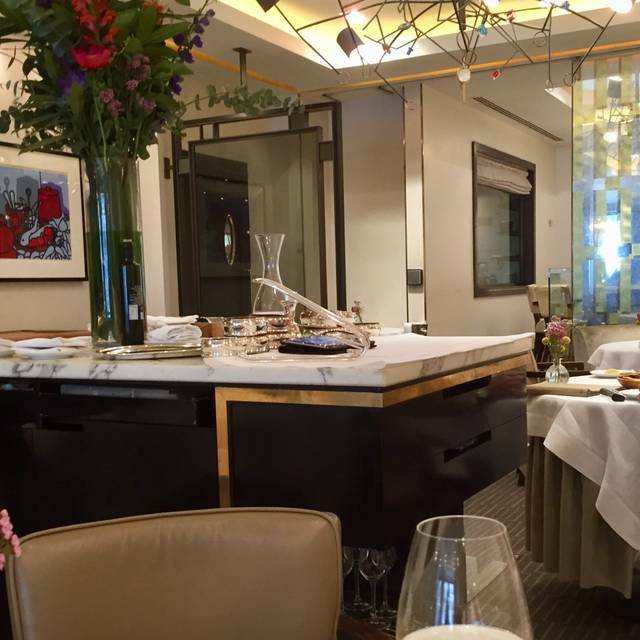 I would expect more from a michelin star restaurant but it was a very nice experience. I took a couple of clients and they were very impressed. The tagliatelle with veal ragu was amazing. This was followed by the best custard tart I have ever tasted. The Kerber from Alto Adige went perfectly. As with my last visit, it was a wonderful experience. The food was amazing. 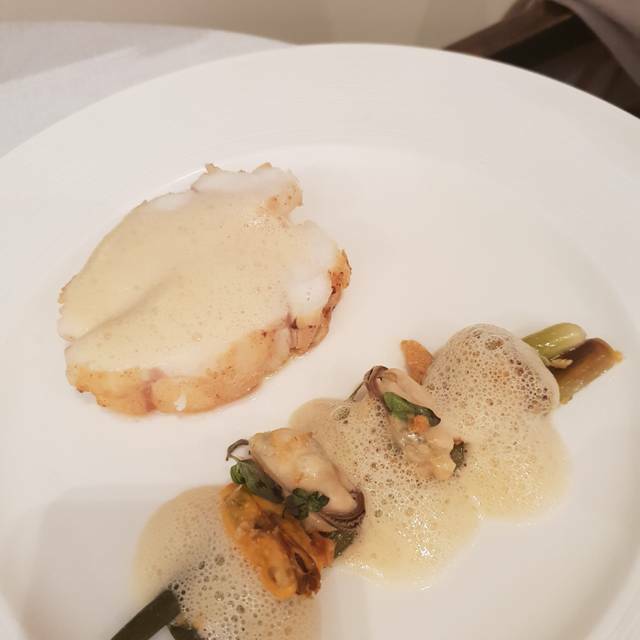 We particularly appreciated the skill of the sommelier pairing the Alsace with the Monkfish. Congratulations to the team. We have a fantastic lunch and would definitely be back. Everything was just perfect.